Tiny spaces need great tools. The STAHLWILLE family of fine-tooth ratchets continues to grow: with the 1/4" 418QR mini fine-tooth ratchet and the 1/4" 418B mini fine-tooth bit ratchet. Space-saving. Perfectly suited for tight spaces where manageability and efficiency are essential requirements. 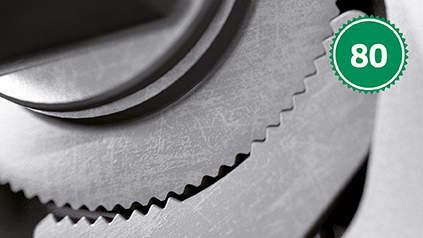 The mini bit ratchet features a slim, compact shape without a 2-component grip and the special STAHLWILLE mechanism with 80 teeth. This guarantees a tiny ratchet angle of only 4.5°. Eight teeth. And as you work, no less than eight teeth are engaging simultaneously. Despite the compact dimensions, this enables extremely high power transmission without damaging the mechanical systems. Ergonomically designed. Even without the 2-component grip, the mini fine-tooth ratchets with their steel handles are safe and comfortable to hold, ensuring strain-free working. 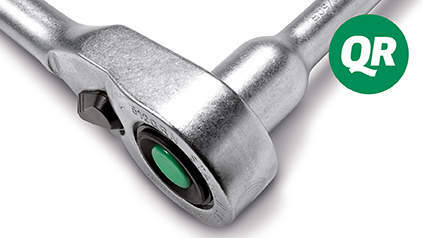 The QuickRelease safety lock enables rapid tool changes with the mini fine-tooth ratchet 418QR and secures them reliably during work operations. 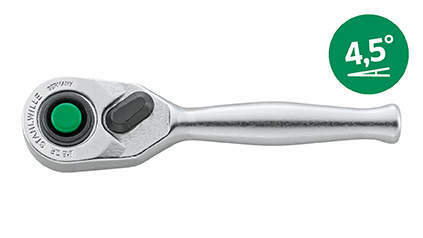 In contrast to conventional fine-tooth ratchets, no less than eight teeth engage at once here, ensuring maximum load capacity and, at the same time, smooth action and durability. 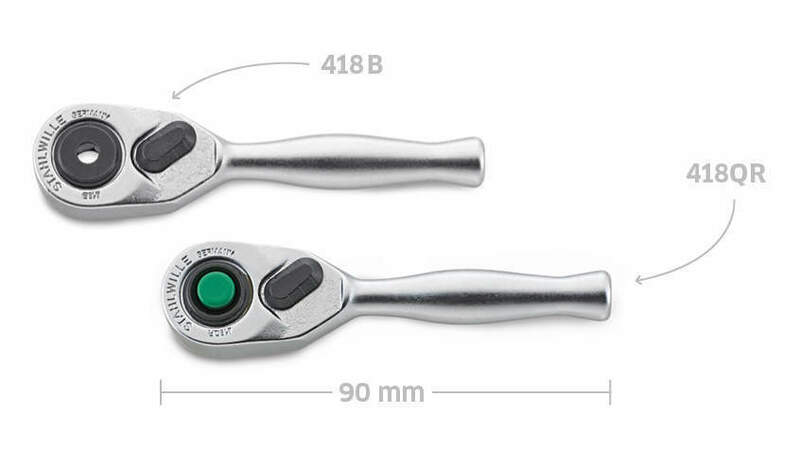 With a length of only 9 cm, the mini ratchets with steel handles are the perfect companion in particularly tight spaces and allow a working angle of only 4.5 degrees. FOD compliant. 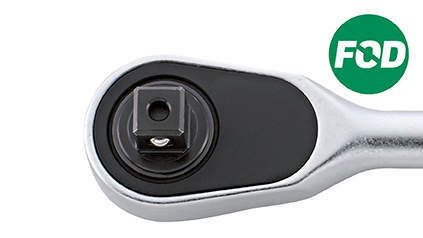 The preferred choice in safety-relevant fields such as aerospace, thanks to the screwless design. I agree, that my personal data will be processed for advertising purposes and that I receive information, such as product news via email. I can revoke the given consent at any time with effect for the future in any appropriate form.